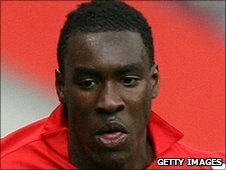 Leeds United manager Simon Grayson has made his sixth summer signing with the capture of former Charlton midfielder Lloyd Sam on a two-year deal. The 25-year-old, who was out of contract at The Valley, was part of the Addicks side that reached the League One play-off semi-finals last season. Grayson told the club website: "Lloyd is another good addition to our squad. "He has plenty of experience, he has played at Championship level, and he is hungry and keen to do well." He added: "We're delighted to get things finalised and welcome him aboard before we go out to Slovakia [on their pre-season tour]." Sam, who was born in Leeds, started his career at Charlton where he went on to make 134 appearances. "My contract had ended and I wanted to get back to playing in the Championship," he said. "I was looking at a few Championship options, and started talking with Leeds. "I've worked with Snods [Leeds coach Glynn Snodin] before when he was at Charlton, and we won the reserve league, so I know all about him. "I spoke to Frazer [Richardson] as well and he said that he never wanted to leave Leeds, and said a lot of good things about the club." Sam joined up with his new team-mates for the first time at Friday's training session and will be part of the 22-man squad that travels to Slovakia on Saturday's for their pre-season tour. "I'm hoping to get in the team and I hope we can be in and around the play-offs," he said. "I'm buzzing and I'm looking forward to getting started and getting to know the lads."